When you have a garden, whether it is flower or vegetable garden, you don't want it infested with weeds and grass. The intruders take nutrients and water needed for the plants to grow, and make the garden look unkempt and ragged. 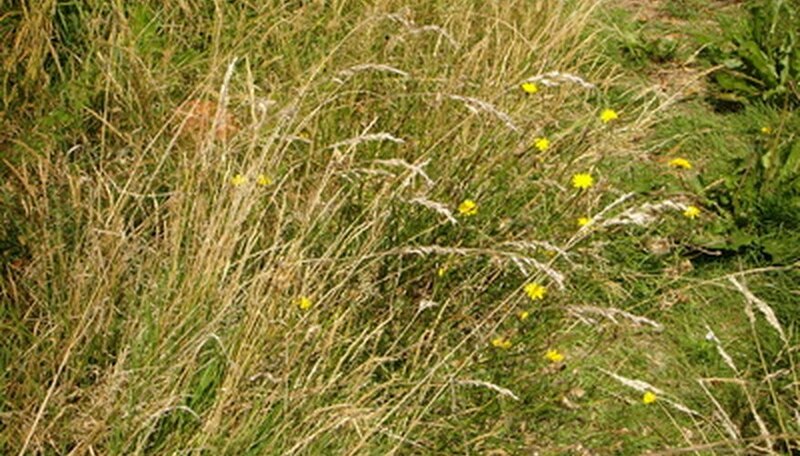 Other grasses, such as ornamental grass, can get out of control and spread into areas that they should not go. Dig ornamental grass up with a shovel if it is a small plant. The larger these grasses get, the more difficult they are to kill this way because their root systems run deep and spread out. Pour salt onto the grass and around the base if it is too large to dig. Salt makes the soil uninhabitable to plants, which means the plant will eventually die or become very weak. Once weak or dead, you can dig it up because the roots will not have a good hold in the ground. Pour more salt on the ground after you dig up the grass. You can also pour white vinegar. The acid in vinegar kills plants as well. Pour these on the soil to attempt to kill any remaining roots. Cover the soil where the grass was with a dark plastic such as a black landscape plastic or a garbage bag. This will keep light away from the area, preventing grass from regrowing. Leave it in place for several days. Pour salt along the outer edges of the landscaping to make the soil uninhabitable. This will create a border that the grass will have a hard time crossing. Spray grass and weeds inside the landscaping with a herbicide that will not harm plants. You could also spray them with vinegar as long as you are careful and only spray the weeds. Cover landscaping with a dark plastic landscape barrier and then cover with mulch. This will block out the light and keep the grass from growing back.